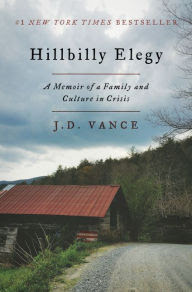 Recently, I read J. D. Vance’s Hillbilly Elegy because I’m always looking for books that open up seemingly neglected areas of American experience, especially if they have a strong spatial component. One of my favorite books of all time, All God’s Dangers, Theodore Rosengarten’s 1974 account of the life of black Alabama sharecropper and labor activist Ned Cobb, shows considerably more power than Vance’s more modest book can muster. 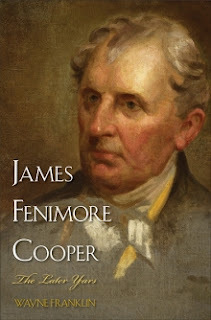 But Vance does tell, from personal experience, the tale of twentieth-century Scots-Irish migration from rural Tennessee to industrial Ohio, capturing the sense of social and spatial dislocation that his title is meant to suggest. 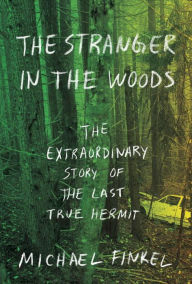 After Hillbilly Elegy, I turned to Michael Finkel’s The Stranger in the Woods, the not-quite-as-told-to story of Maine loner Christopher Knight, who spent twenty-seven years living in a secret place amid a maze of huge rocks near vacation cabins and camps that he systematically rifled for food, clothing, fuel, gear (and books) to sustain himself. 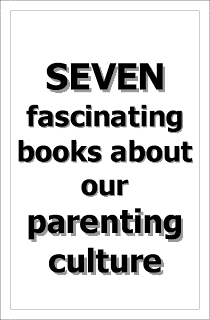 His story inevitably recalls Jon Krakauer’s 1996 title, Into the Wild, about Christopher McCandless’s briefer, more tragic withdrawal into the Alaskan wilderness. 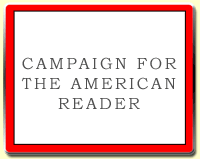 Also recently, I re-read Annie Dillard’s Pilgrim at Tinker Creek and, for the first time, her An American Childhood, published in 1987. The first book, which won the Pulitzer Prize in 1974, the year before All God’s Dangers won the National Book Award, is by now a classic of modern environmental prose, notable for its spiritual depth and, again, its avid pursuit of the lessons that loneliness can teach. 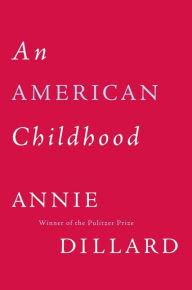 An American Childhood is a much chattier, more worldly memoir of Dillard’s life (as a privileged young woman named Meta Ann Doak) in the Shadyside/Point Breeze neighborhoods of Pittsburgh from the 1940s to the 1960s. 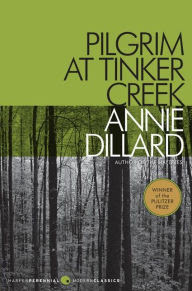 Since I spent five year in those same neighborhoods just about the time Dillard went off to college in Roanoke, near which Tinker Creek runs its course, American Childhood offered me not only some insight into how Meta Doak became Annie Dillard but also into a city I, too, recall with great fondness. I agree with the profound point she makes about space in the opening paragraph in that second book: “When everything else has gone from my brain—the President’s name, the state capitals, the neighborhoods where I lived, and then my own name and what it was on earth I sought, and then at length the faces of my friends, and finally the faces of my family—when all this has dissolved, what will be left, I believe, is topology: the dreaming memory of land as it lay this way and that.” As to me, I recall from Pittsburgh the fact that my neighborhood was quite literally Mr. Rogers’ neighborhood, too, since he lived a half mile or so from me. (Dillard had left Pittsburgh before his first show aired there, so she not surprisingly does not speak of him.) I also recall that Fred Rogers, despite his cheery public face, had a security system warning sign out front of the big brick house. But that’s another story.